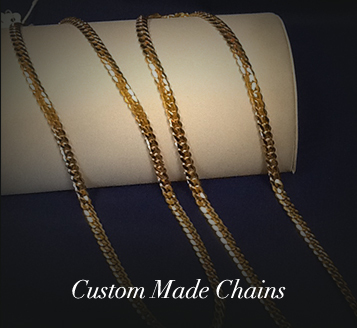 Home of the Custom Made Miami Cuban Link Maker, handmade Miami Cuban Links. Hi, my name is Reinaldo Perez, but my family and friends call me Rey. I have been in the jewelry business since 1987. In 1993, I began doing Cuban Links. For the last 22 years, I have dedicated myself to hard work in making these fine pieces. Why haven’t you heard of Reys Gold? Well, that’s because I focused my work strictly for a Wholesaler in Miami. Although, I still do business with them, I am ready to venture out and show the world the top quality work behind the name. At Rey’s Gold, we are offering you top quality work and the best deals in Miami. 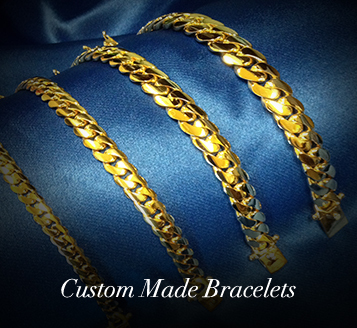 We only use fine gold when making and designing Cuban links. NO SCRAP GOLD IS USED!! All my Cuban Links are pre-ordered. The majority of all custom made Cuban links can take 3 to 4 days to build. I work with any size, any weight, 10K, 14K, 18K, yellow, rose and white gold. Our Cuban links are built one link at a time and our box lock clasp is a triple lock. If its top quality your looking for, you came to the right place, as I have the best deals in town!! The reason why they are the best deals is because there is no middle man. You are talking directly to the maker. Our work is based off of your ideas and design. Our goal is to provide you with 100% satisfaction and the highest quality of work. Our outstanding customer service will do their best to meet your special needs. We also buy gold, upgrade your old Cuban links and we offer other jewelry pieces. 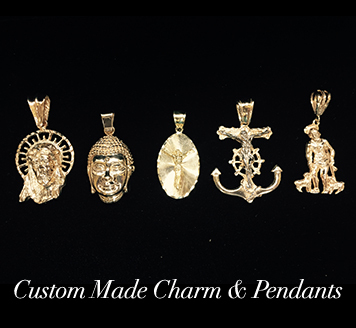 At Rey’s Gold, we DO NOT sell gold plated jewelry, ONLY real solid gold. At Rey’s Gold, we strive to please our clients. If you wish to place an order and/or just talk to the maker himself and get some ideas going. Don’t hesitate to pick up the phone and give us a call. Our work is guaranteed!! Saturday: 11:00 a.m. to 3:30 p.m.